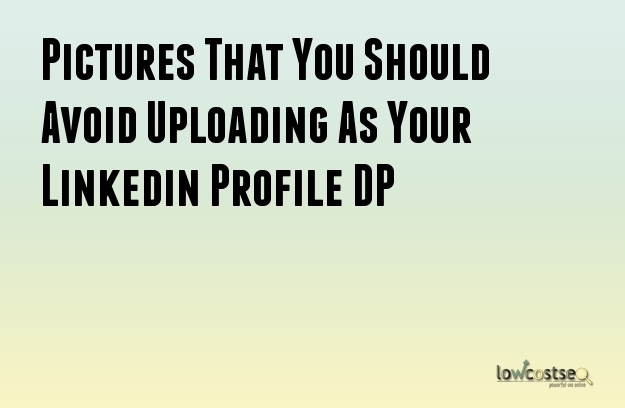 What are the Pictures That You Should Avoid Uploading As Your Linkedin Profile DP? Social networking sites are one of the best platforms that entrepreneurs can use when they are looking to market and advertise their business online. There are various social marketing tools that are available these days. Among them, the most famous ones are facebook, twitter, Instagram, and LinkedIn. However, there are many entrepreneurs who cannot use these social networking platforms efficiently and as a result they are unable to launch a successful marketing campaign. It is very important to know that you will have to plan and strategize individually for every social networking platform. Yes, this is the secret key to success. Thus, it is certainly your first step to prepare an effective plan. You can prepare the plans all by yourself or you can certainly take it to a professional web developer. These days, preparing an effective social networking plan all by yourself is certainly possible as you can gather valuable information from the Internet. Today, you will get to know how to prepare a perfect plan for posting the right profile picture for LinkedIn. Yes, the profile picture definitely play a vital role is displaying your personality, appearance, your dedication and seriousness towards work. You must not forget that you are trying to gather business clients and advisors with the help of the LinkedIn platform. So, what types of pictures should you avoid posting on your LinkedIn profile? Do not upload a picture that is old and outdated. This will certainly create a negative impression in the mind of the people. Thus, if you have an old picture then it is time for you to click a new one. Putting up a new picture will help you to display your personal brand and also your companies. It is certainly not a bad idea to display your informal look in your personal social networking accounts, but it is certainly a bad idea to display this look in a professional social networking profile that you are maintaining. Many of you have the belief of work hard and party harder, but avoid it when you are interacting within the professional territory. Always remember anything that you display that is not related to work context will elementarily send out a wrong message. Make sure the picture that you are looking to upload in your LinkedIn profile has got enough light effects. It is certainly a good choice to have natural lighting so that you are able to eliminate unwanted shadows from your face. If you are unable to do it all by yourself then certainly hire the services of a professional photographer. It is important to display to your clients and associates that are connected to your LinkedIn profile that you are a genuine human being. Uploading a picture having a frown look will certainly display a very wrong message. So, do avoid the cheeky Frown look as a profile picture. Most of you are caring and lovable towards your pets. However, it is important to know that you are using the LinkedIn profile for sending out a professional message. Thus, having your profile picture with your pet can certainly puncture your professional reputation.